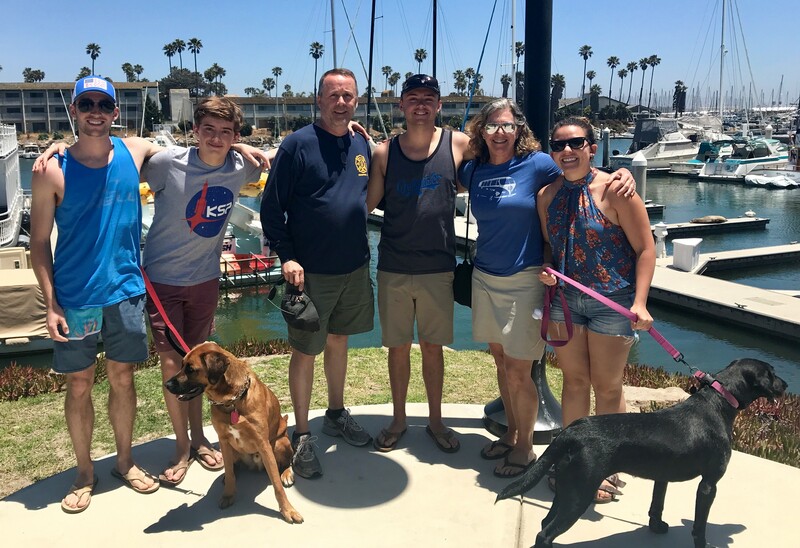 Steve and Lisa Palmer are enjoying life in Santa Barbara. 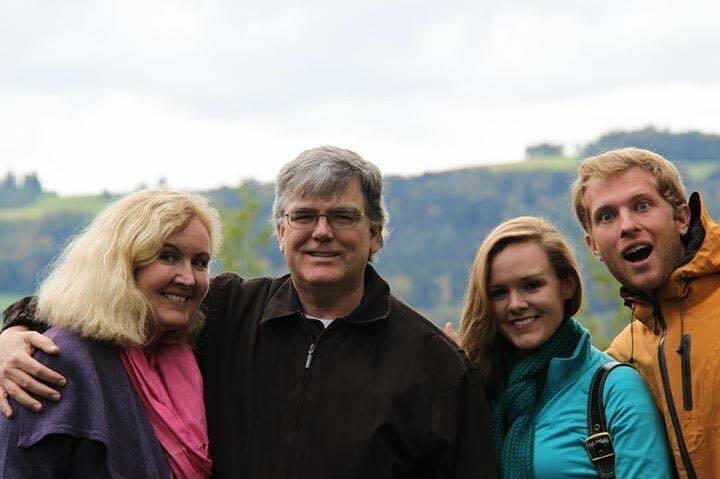 Steve submitted this family photo to us when offering to donate a case of fine wines for our 40-year reunion! Pictured left to right are: Andrew (25), Ian (15), Steve, Brendan (21), Lisa and Rachel, Andrew’s girlfriend. Time flies! 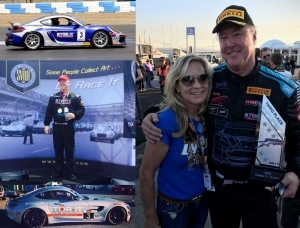 Craig Lyons reports from the racetrack: Racing is going well. Just getting into the core of my 3rd season. Here are some pics from this and previous seasons. 1st win was on fathers day at Indianapolis in the Vintage car. The Ramser crew at a local dive last year. Can you identify the place? The Callahan and Blum Crew (classmate Franci Vittrup) now spend time between two continents, since their daughter married a Swiss guy a few years ago. 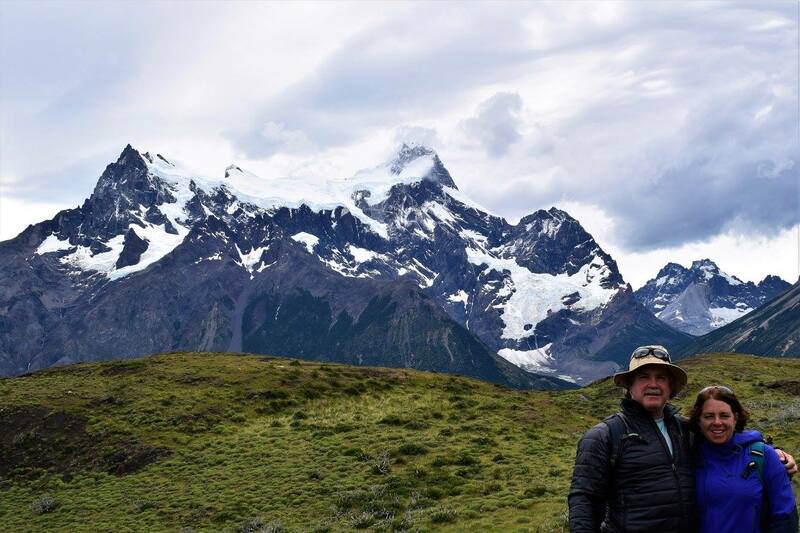 Don and Alison Barker near the southern tip of South America in 2016, (our winter - their summer)! 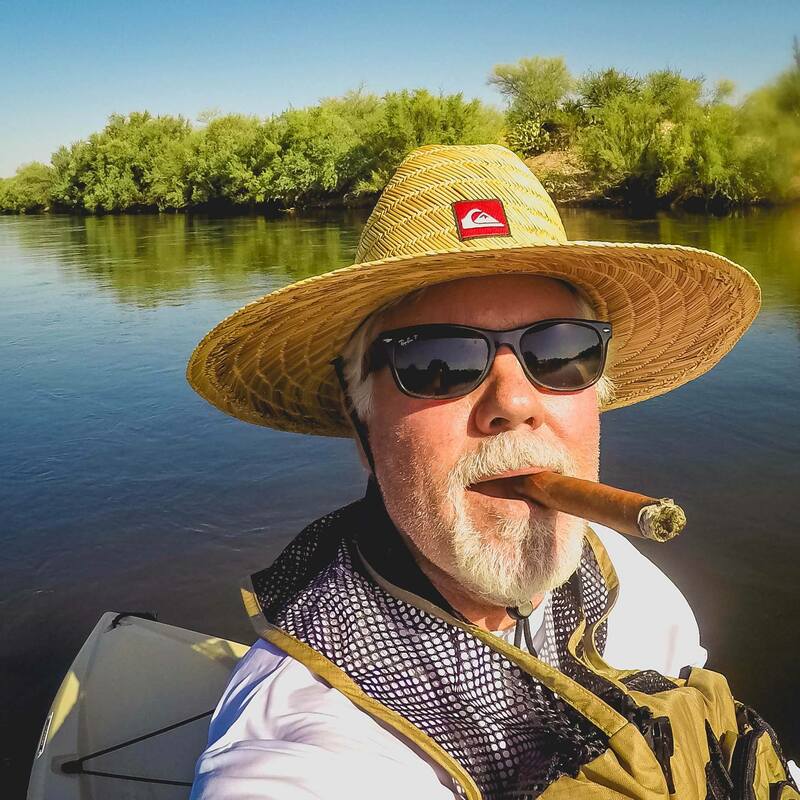 Brooks Benjamin enjoying a Cuban while fishing from his kayak on the Salt River in Arizona. A good escape from a week at the bank. You knew she was good at tennis, but did you know that singing was her passion? Here's classmate Melinda Myers singing "Love Child"
We will be posting annual alumni news and photo updates here. 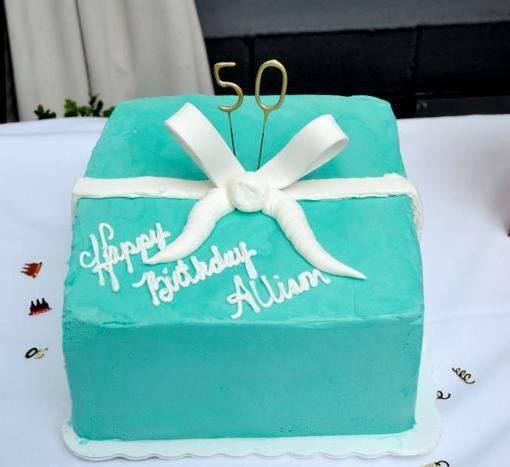 Send yours to azbeamish@msn.com and he will add it to this page! 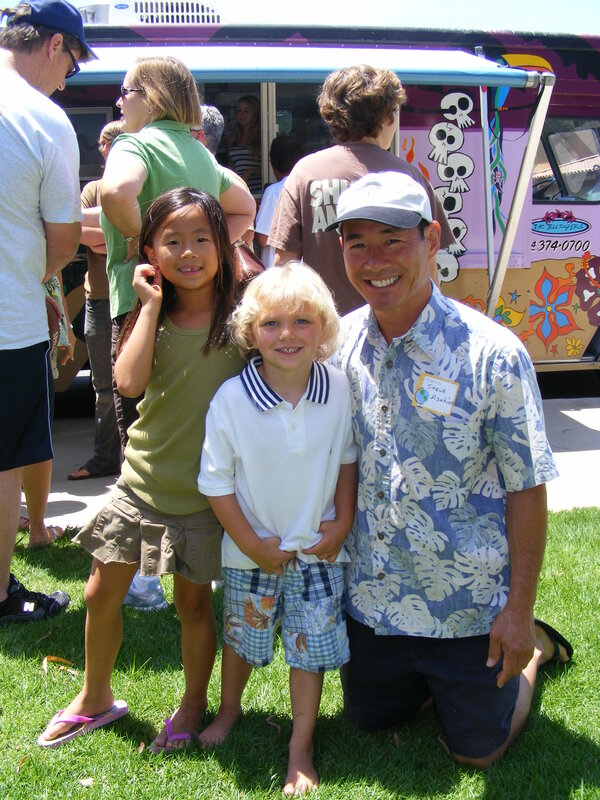 Full of energy in all that he did, Doug's sudden passing after a hike in the Bay Area foothills has left a wide circle of family, friends, and colleagues missing him greatly. 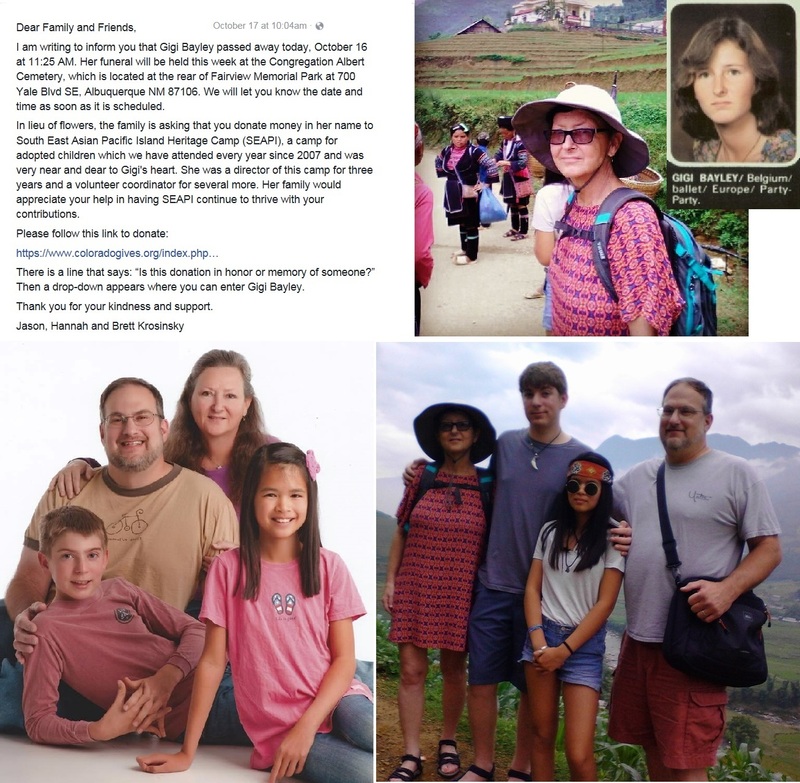 Doug is survived by the loves of his life - his wife Lorri and children Tom and Erin of Campbell, CA, his sister Elizabeth and brother-in-law John Wagner of Eagle Rock, CA, and mother-in-law Chloe Jenkins of Upland, CA. 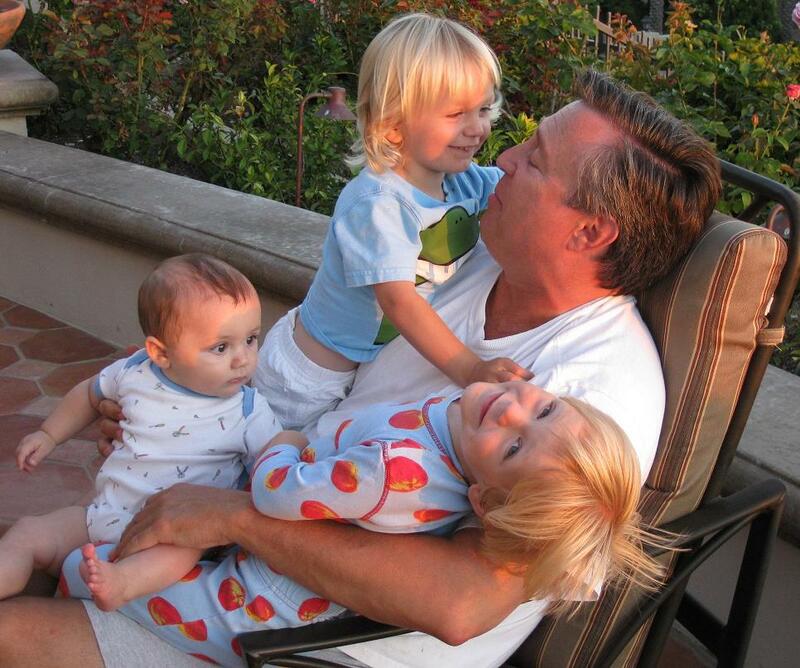 Son of Jim and Rhoda Watson, Doug grew up part of a close-knit community in Newport Beach. From a young age, he displayed an uncanny aptitude for anything mechanical. 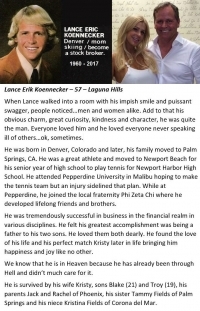 In addition to cars and motorcycles, he loved the outdoors, sailing, and was an Eagle Scout. For college, he headed north, earning B.S. and M.S. degrees in Aeronautical and Mechanical Engineering at U.C. Davis. 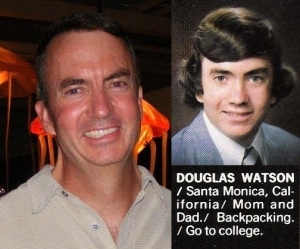 Doug went to work as an engineer for NASA, and later Adac Labs. In his off hours, he spent time with his many friends - most often on water or snow-skiing trips, or backpacking in the High Sierras. In 1990, he married his college sweetheart Lorri Jenkins, and kids soon followed. 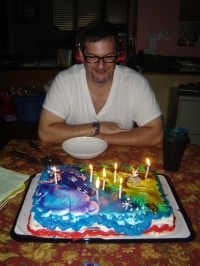 In 1995, Doug joined Nikon Research as Director of Mechanical Engineering. 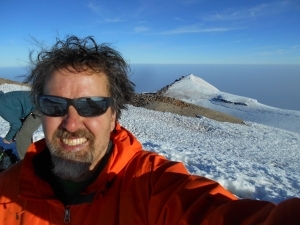 With Nikon, Doug traveled extensively between the U.S. and Japan, and is named on over 75 issued U.S. patents for inventions related to semiconductor manufacturing equipment. 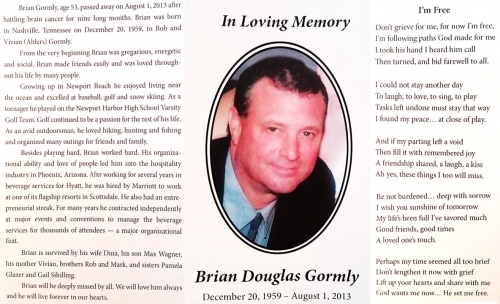 He was known as an exceptional engineer, with an upbeat presence and sense of humor. 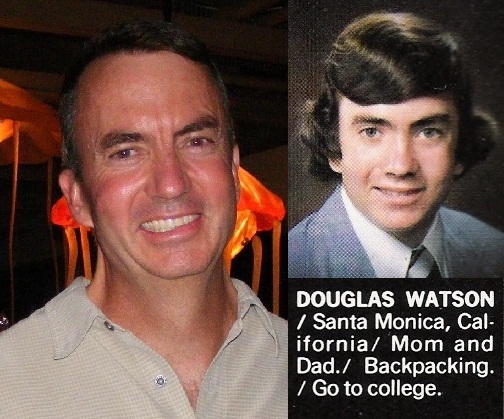 Doug has left us far too soon. Yet we are grateful for knowing him, and will cherish forever the times we shared together. In lieu of flowers, a tribute donation may be made in Doug's name to the Peninsula Open Space Trust, www.openspacetrust.org. 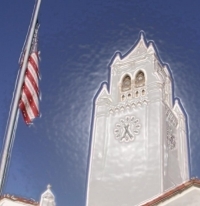 An outdoor memorial service was held on August 29th, 2011 at Saratoga Springs, Saratoga, CA. 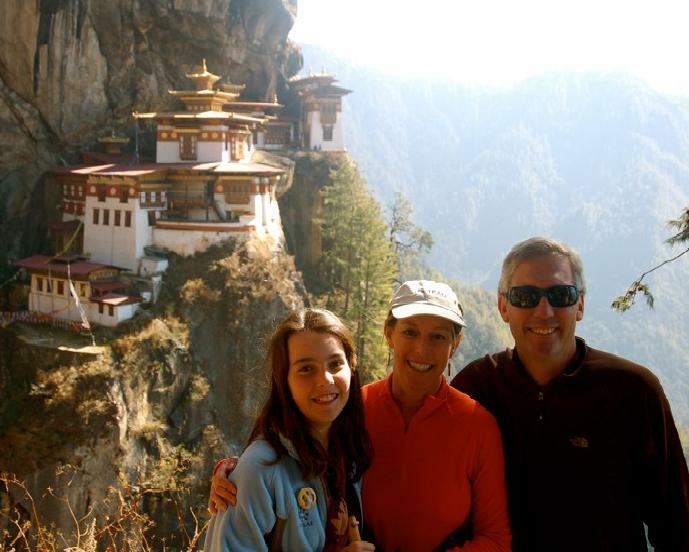 Classmate Anita Pedersen Smith had a very heart-wrenching week in 2010 when she and her parents had to evacuate their homes in the foothills west of Boulder, Colorado, where one of the worst forest fires in the State's history destroyed homes and lives. "It's been an emotionally exhausting week not knowing if our house was still standing. We were evacuated Monday and we finally moved back last night. We were some of the lucky ones and our hearts break for the 169 families who lost their homes", stated Anita. She told fellow NHHS classmate Pete Dempsey that she would like to go for a celebratory bike ride with him. Pete also lives and in Boulder and is an avid bicyclist. 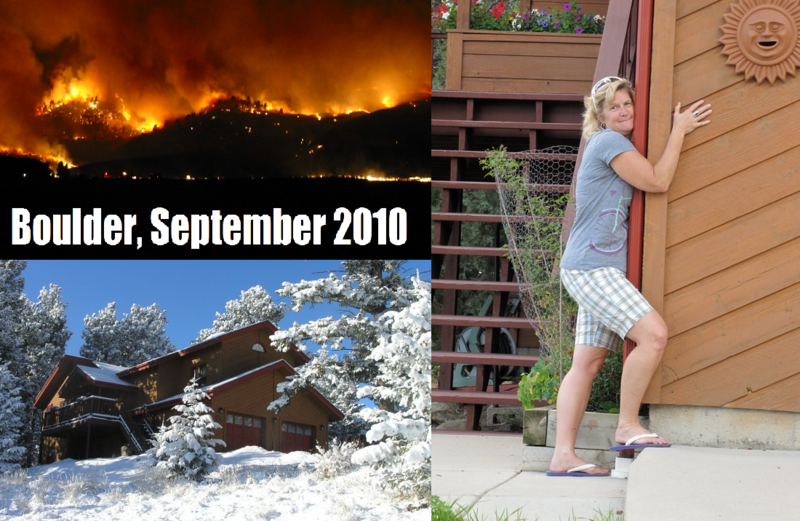 Anita is currently between jobs, but she is extremely thankful that she, her family, and their property survived unscathed when so many of her Colorado neighbors did not. A Good Reason to Cheer! 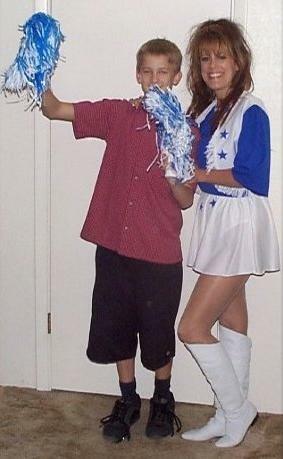 Donna Brower Morrison still has a cheerleaders body after all these years, as can be attested to in this recent photo of her in her Dallas Cowboys cheer outfit! Go, Donna! We love your pom poms! 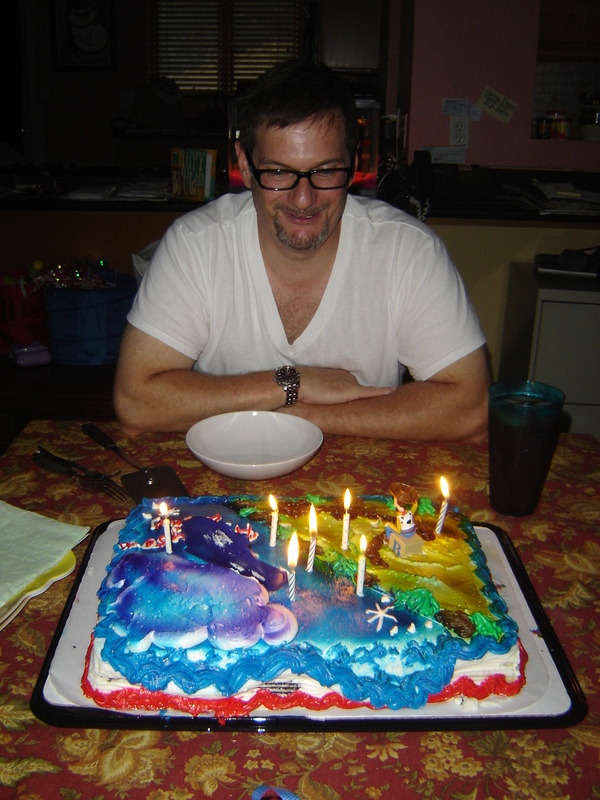 Brad Johnson enjoyed his 50th with this impressive cake, sellected especially for him by his young daughter. Brad says it took him a week to finish all of it. 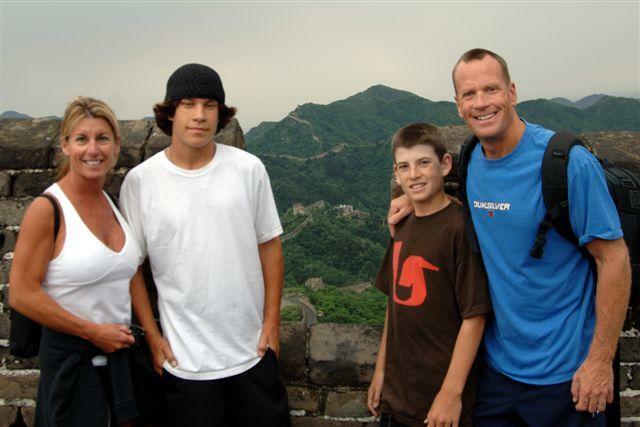 Brad and his family live in Washington DC, but I've heard rumor that he is an anarchist, so don't be blaming him for the state of our economy. 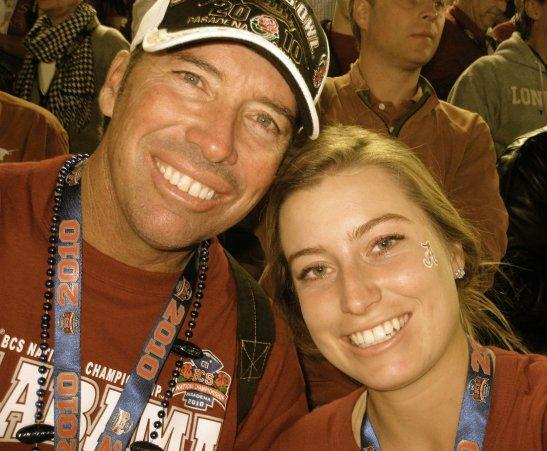 Classmate Mike Hogan recently dropped off his eldest daughter at Johns Hopkins University. Super-smart Hailey snagged a full-ride scholarship and is beginning her freshman year at Hopkins- one of the most prestigious universities in the world. 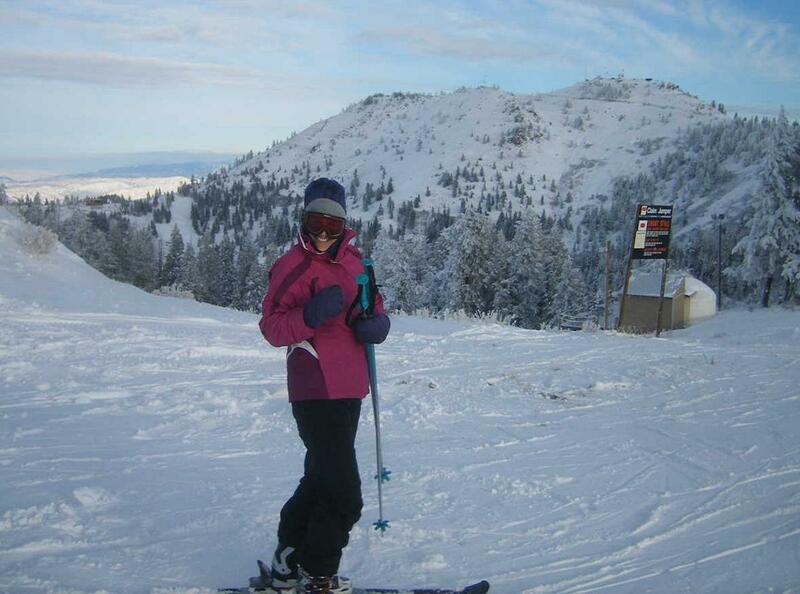 Hailey may be following in Dr. Doug Brockmeyer's footsteps, which are big shoes to fill! Did you know that Mike has been coaching the NHHS Varsity Baseball Team? 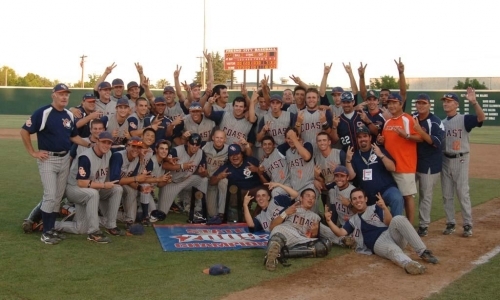 He always had a great arm and now, with all of his minor league baseball experience, Mike has a worthwhile mission- to coach the Tars to the CIF championships! 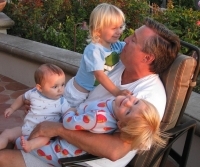 Mike and his family downsized in 2009, when they purchased a lovely little home on Balboa Island. 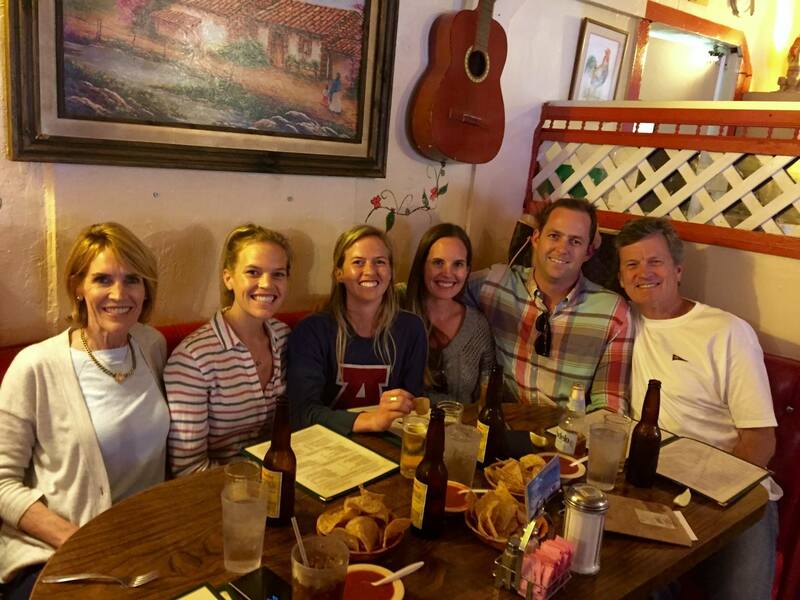 Mike has enjoyed returning to his roots (he grew up on the Balboa Penninsula and attended Newport Elementary four decades ago). If you want a little local adventure, try Kayaking the bay with Mike! Mike Hogan helped coach the 2010 NHHS Varsity Baseball Team and is doing it again this year! 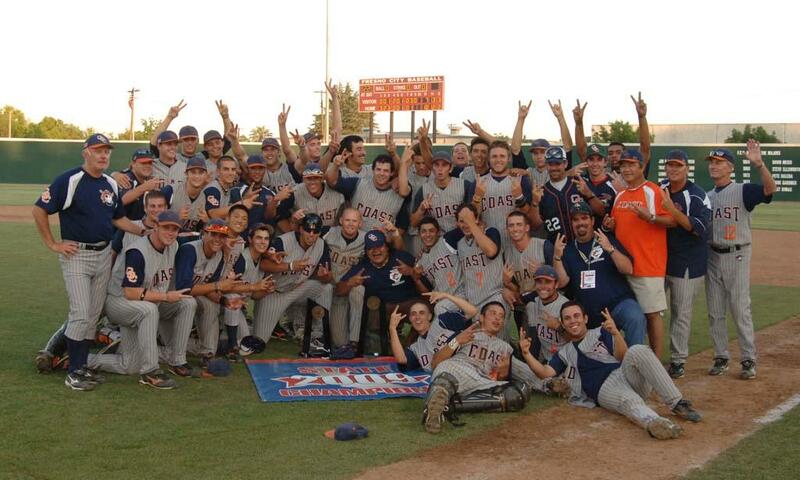 2009 State of California Champions - OCC! 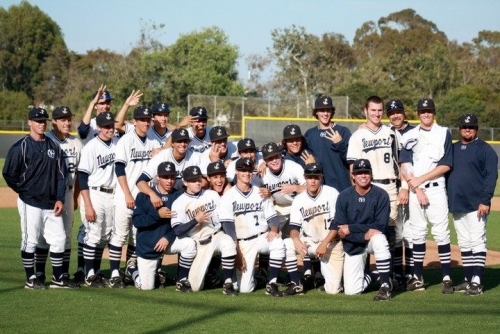 The OCC baseball team won the State of California 2009 Championship! Classmate Jeff Piaskowski (right) and son Jeff CHIP Piaskowski (center) are both rightfully proud OCC Coaches! They "got the BIG FAT RING!" 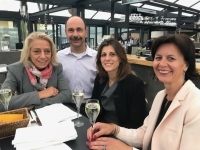 Congratulations Piaskowskis and OCC team members!!! 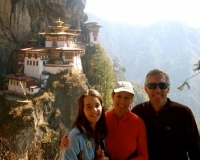 Classmate Allison Udall Thomsen, along with her husband, Greg, and youngest daughter, Claire, enjoyed year-long World tour. Allison posted wonderful photos and stories about their travels on thier fantastic travel website: Thomsen's Travel Website Check it out!!! You cannot lift the wage earner up by pulling the wager payer down. You cannot build character and courage by taking away peoples initiative and independence. 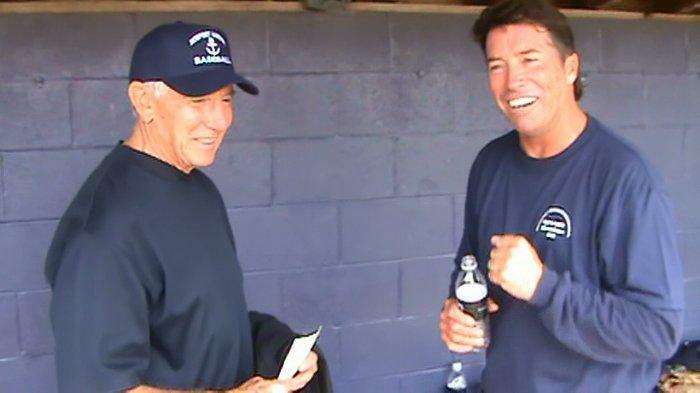 Classmate Dan Johnson sent in this photo of NHHS alumni Mike Hogan ('78) and Jim Newkirk ('55) who showed up for the Feb. 21, 2009 Alumni vs. Varsity Baseball Game. Many classmates have fond memories of Mr. Newkirk, who coached and taught Criminal Justice during our school years. Mike pitched a 3-inning shut-out that day, but he always did have a good arm! 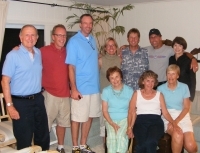 Mike played pro ball after his high school and college baseball years. Does anyone else remember the time Mike won the 6th Grade athletic competition back in the spring of 1972 held at Horace Ensign Middle School? He had the best arm of any alumni way back then! Classmate Mark Skilling has been enjoying World travel with his family this past decade. Here is a recent image of the Skilling travel team taken on China's Great Wall! 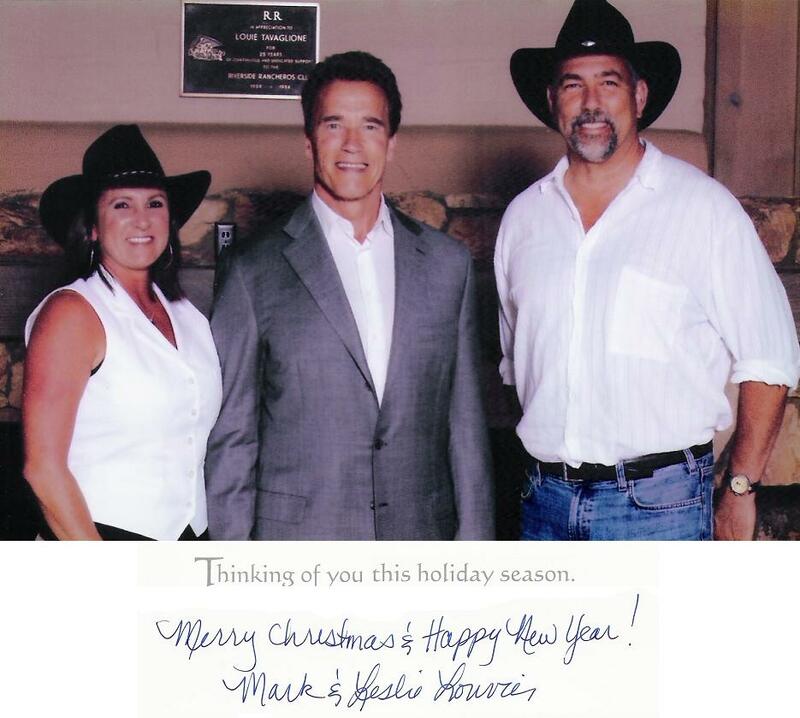 Leslie Feducia Louvier sent out Christmas greetings with a photo of her buddy, Arnold Schwarzenegger, last year. 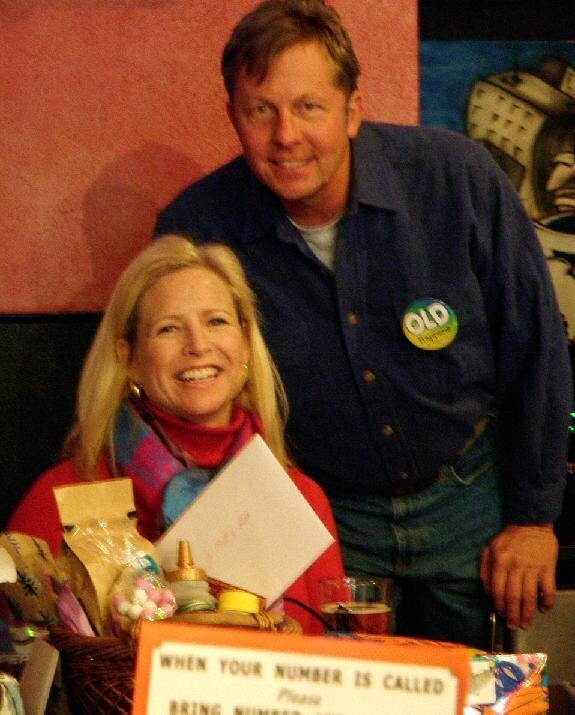 Leslie and husband, Mark, attended a fundraising event with the celebrity Governor this fall. If Mark looks impressive standing next to "The Terminator", just think how intimidating Mark would look if Arnold wasn't wearing his 4-inch lifts! (Supposedly, Mr. Schwarzenegger is just over 6.1-feet tall). 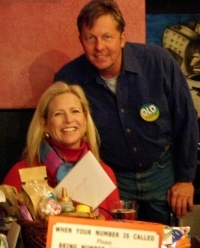 Leslie and Mark wish you and yours the happiest possible 2009! The Bitetti brood is on the move for the holidays! When not working, dad serves as the community climbing gym. We are certain Jeff and Gerrette's Christmas list will include lots of boy toys, sports equipment, and diapers, diapers, diapers! JJB wishes all his fellow NHHS classmates a blessed and happy holiday season! Alumni parents Jack and Nancy Skinner hosted a neighborhood reunion in September at their Dover Shores home. Attendies included members of the Beamish, Blanchard, Fiorentino, Skinner, and LaShelle families, all formerly living on Estelle Lane in the 1960's and 1970's. You might recognize NHHS alumni Mike Blanchard, Bill Beamish, and Susan Skinner. Susan's mom, Nancy, was the Tournament of Roses Parade Queen of 1952 and she still looks beautiful!